At Sweet Shutters and Shades, we take great pride in being able to provide our clients with exactly what they want for window treatments in Charlotte. 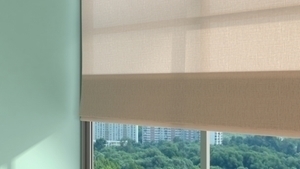 One of the most popular staples in the field of window coverings is shades in Charlotte and the surrounding areas of North Carolina. While shades in general offer a wide variety of benefits, each style has its own unique traits to offer. The material, the look and the functionality all play a substantial role in the vast differences there are, just among shades. We look forward to scheduling your free in-home consultation in order to answer questions and show you samples. This is the smartest way to arrive at your final decision, in order to make sure that it is one that you will love, for years to come. Give the window shade experts at our Charlotte shutter company a call today to schedule your free in-home design consultation and estimate. Roman shades are widely regarded for their softness, due in part to the use of fabric for a material. They are designed to stack layer upon layer as they are drawn open. The effect can be a crisp uniform fold or a billowing drape, depending on the style you select. 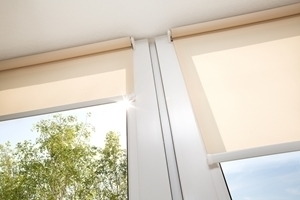 If you are looking for a subtle look that also offers enhanced window insulating capabilities, honeycomb or cellular shades are the perfect solution. The look is distinct and the air pockets that create the string of singe “honeycombs” are what help make this an insulating window treatment. Get great looks with optimal performance, while saving on your monthly utility bills. 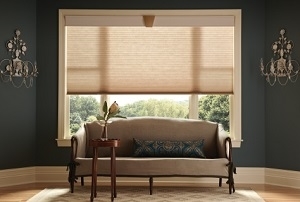 A tried and true classic in the world of window coverings, roller shades are a simple option. This is usually something that makes the perfect backdrop, so that other elements of your interior design aesthetics become the focal point. Let us provide you with the samples you need, in order to envision it for your home. 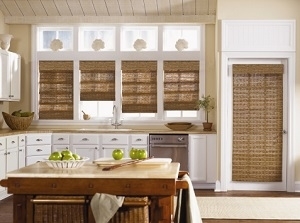 Nothing quite rivals the simple yet stunning look of woven shades. This is an ideal approach to letting in diffused natural light while retaining your privacy. Available in a wide array of colors, this can be the perfect look for any room. 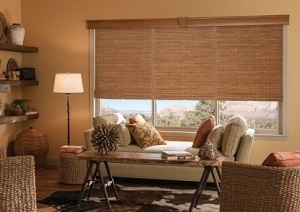 Woven wood shades offer an element of natural beauty that simply cannot be replicated. This is the ideal way to tone down an elegant space or dress up a casual one. Let us schedule your consultation so we can show you the assortment that is available. 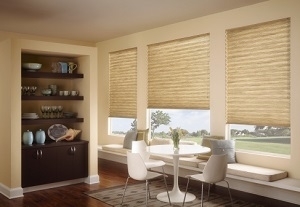 For a look similar to honeycomb shades, without as much visual obstruction once opened, pleated shades are the perfect choice. 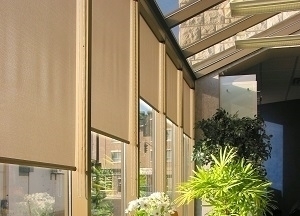 While this also means less insulating capabilities, they offer the same soft visual allure. 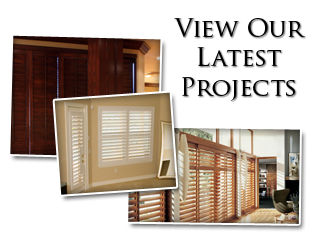 The bottom line is that, when you are in need of window shade services, you can count on Sweet Shutters and Shades. 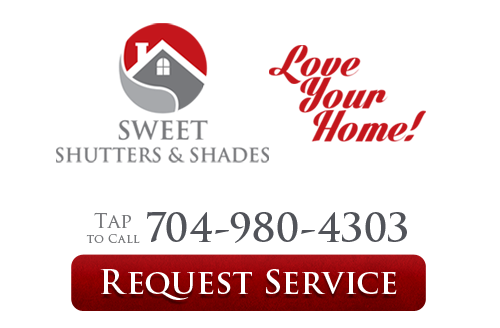 If you would like an estimate for custom window shades in Charlotte, NC or any of the surrounding areas, please call Sweet Shutters and Shades at 704-980-4303 or complete our online request form.